Burton J. Smith, Technical Fellow for Microsoft Corporation, works with various groups within the company to help address the challenges brought about by the emergence of many-core systems and the increasing importance of distributed services. Before joining Microsoft in December 2005 he co-founded Cray Inc., formerly Tera Computer Company, where he variously served as its chief scientist, a member of the board of directors, and its chairman until 1999. Before that, Smith spent six years with Denelcor, Inc. and three years at the Institute for Defense Analyses Supercomputing Research Center. In 2003, Smith received the Seymour Cray Award from the IEEE Computer Society and was elected to the National Academy of Engineering. He received the Eckert-Mauchly Award in 1991 given jointly by IEEE and ACM and was elected a fellow of each organization in 1994. He was elected Fellow of the American Academy of Arts and Sciences in 2010. Smith attended the University of New Mexico, where he earned a BSEE degree, and the Massachusetts Institute of Technology, where he earned SM, EE, and Sc.D degrees. 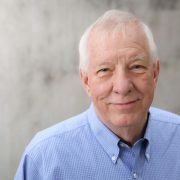 Editor’s Note, April 4, 2018 – Burton J. Smith, a Microsoft technical fellow who innovated in the field of parallel computing and devoted his life to helping others, passed away April 3.